When summer comes, it is time for all homeowners to enjoy their beautiful green lawns. 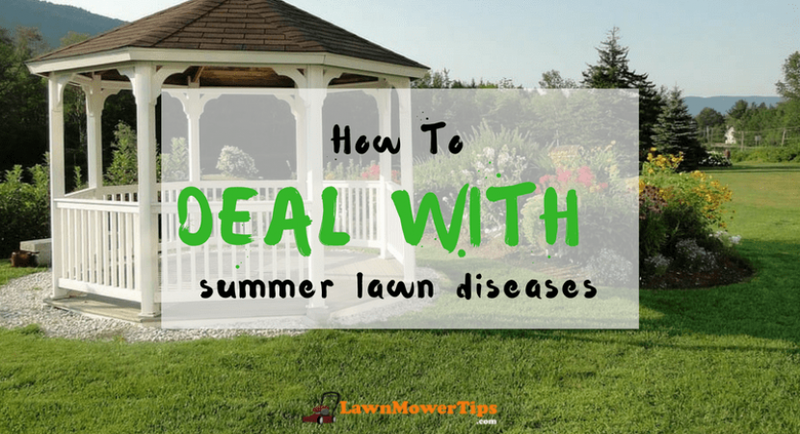 However, the warmth and high humidity of summer does not only facilitate the growth of grass, but it is also the ideal conditions for many irritating lawn diseases. Any homeowner can get frustrated to see their beautiful, lush, green lawn became worn out with patches and spots. In this article, let us show you how to identify, prevent and treat the lawn diseases. When the weather is getting hot and moist, especially if the temperatures reach 28 to 32 degrees Celsius and the turfgrass leaves stay wet for 10 to 12 hours, it is time for brown patches to spread throughout your lawn. First, these patches will appear as dark, water-soaked circles with various diameters (from a few inches to several feet) after drying, withering, and turning dark brown. Fertilizing with excessive nitrogen is not recommended, in this case, because it will nurture the disease well. Instead, apply adequate amounts of phosphorus and potassium based on the soil test results. Do not irrigate daily, but do so based on the weather conditions and water requirements of each turf type. The time of irrigation is also critical. Watering after sunrise or in the late afternoon will increase the duration of wetness on the turf leaves. Thus, you should water in the early morning before sunrise. This will flush away the big drops of dew on the leaves and let the sunlight dry the foliage quickly. 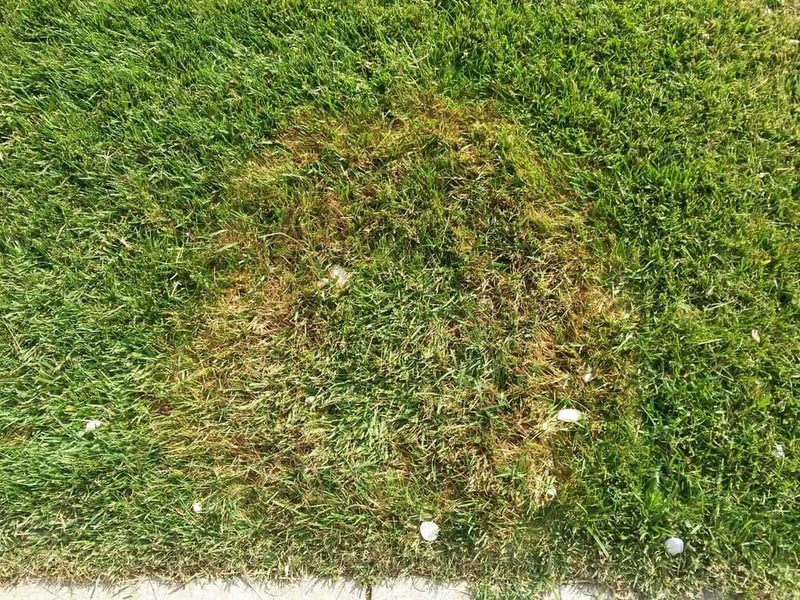 This is one of the most damaging lawn diseases caused by a family of varied soil-inhabiting fungi called basidiomycetes. Fairy Rings may appear in the form of a dark green circle, an arc, or ring of thick and fast growing grass with the diameter from a few inches to 50 feet or more. The rings sometimes are made of mushrooms or puffballs which usually appear after rainfall. You may find rings with brown or dead grass from time to time. 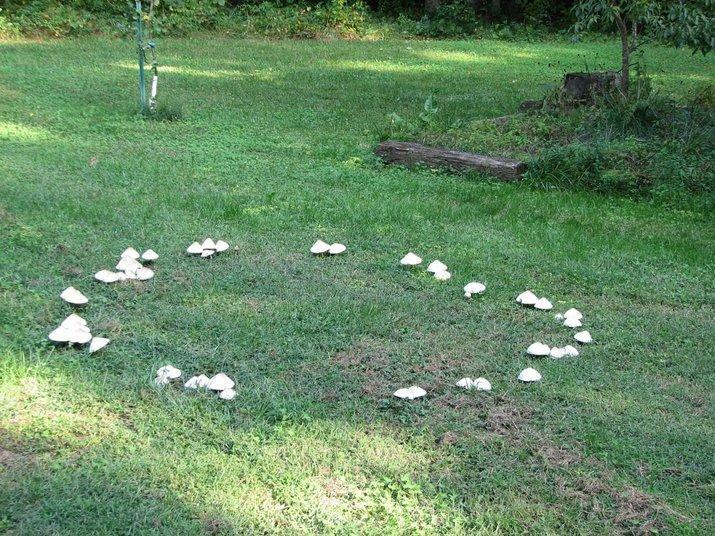 Fairy Rings have always been such a nightmare for any homeowner because they are highly visible and terribly difficult to get rid of. Initially, they prevent the water from reaching roots of the grass, eventually exhausting the nutrients of the soil and even producing toxins which directly kill the turf within a ring. There is no chemical control for fairy rings. You can either dig up the whole infected area and replace it with the fresh soil and new grass or use the lawn treatment to recover the turf slowly. If your choice is the second, please follow these guidelines. First, use a lawn mower to mow the infected area (independently of the rest of the lawn) to remove the mushrooms or puffballs as soon as they appear. Apply fertilizers that are rich in nitrogen all around the lawn to color them all dark green, and aerate the infected areas heavily and keep it well irrigated. 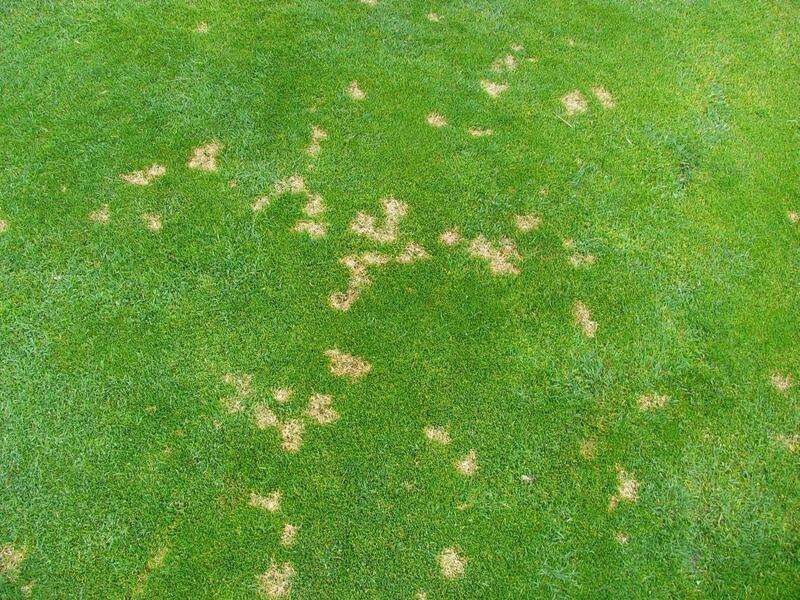 Summer patches, sometimes called Poa Patch, are caused by the fungus Magnaporthe poae during warm and hot weather conditions. This kind of fungi produces dark-colored hyphae which can damage and kill the grass roots. Summer patches grow vigorously in Kentucky bluegrass and annual bluegrass. They appear as orange-brown, straw-colored circular or oval patches with the diameter from 1-3 inches to 1-3 feet. Small patches may unite larger areas, and infected patches with the green grass in the center are often referred to as frog-eye symptoms. In order to manage summer patches, you need a combination of good practices and chemical controls. First, increase the mowing height of your self propelled lawn mower to at least 3 inches in the summer. Ensure that the lawn gets just enough water to stay alive during summer conditions because high soil moisture will encourage the development of the infection. Apply the core-aeration to relieve the compaction in spring and fall. Regarding to the chemical controls, use fertilizers with ammonium to keep the PH level of the soil between 5.5 and 6.0. Besides that, you can use fungicides as a complementary method when the turf starts growing in early May through the end of June. Dollar spot is caused by the fungus Scletotinia homeocarpa. This disease often occurs in summer and autumn and becomes most active during moist, warm days and cool nights. The infected areas will appear as tan or straw-colored spots, which have the equal size as a silver dollar. These spots may slightly sink and coalesce to the large patches. The trace of the fungus, small cottony strings, can be seen growing from the infected leaves in the morning when the lawn is still covered in dew. Then, they will disappear when the leaves dry. Despite the spots having a small size, this disease is so dangerous that it can kill your grass easily. Fungicides are applicable to get rid of dollar spots. However, good practices can even prevent your lawn from the disease. 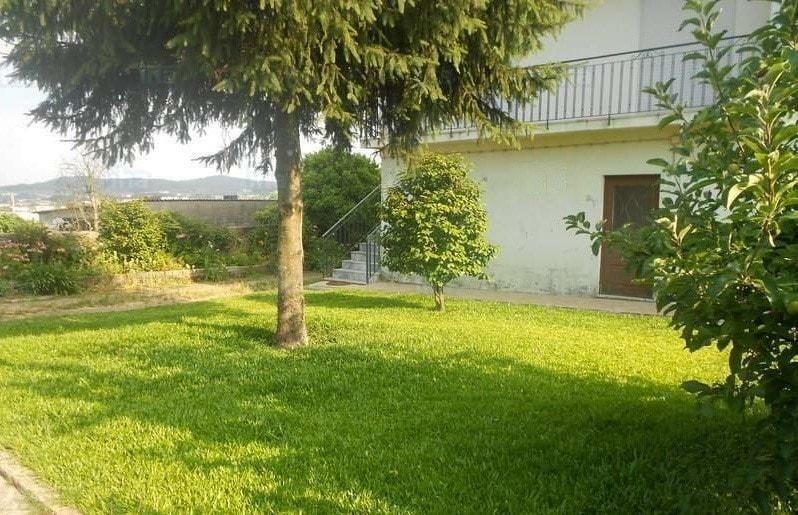 For example, cut the grass at the recommended maximum height, remove extra thatch, aerate compacted soils, brush the lawn with a hose dragged across the grass to remove dew early in the morning, irrigate but avoid doing it in the late afternoon or evening, and apply slow-release organic fertilizer. 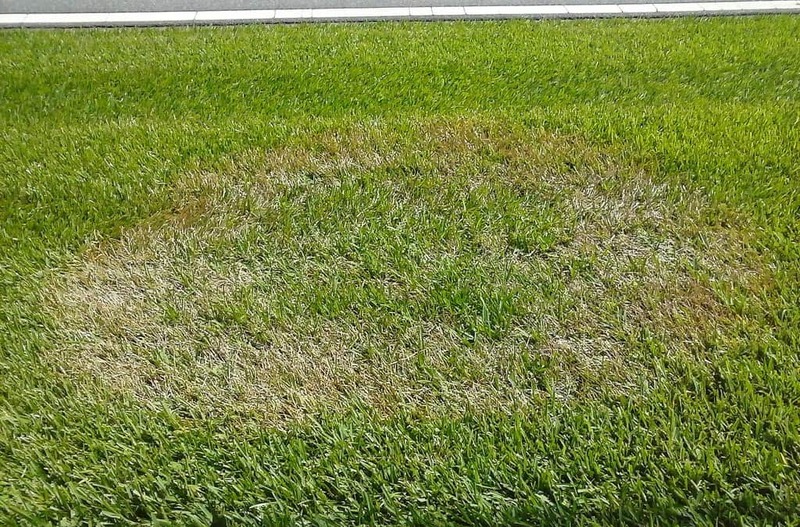 As you can see, summer lawn diseases can appear anytime in anyone’s lawn and in the variety of forms – from tiny tan spots to large dark green rings with mushrooms. And once any kind of these diseases attack your yard, they can cause great damage to the turf. Fortunately, you always can take action to protect your lawn in advance as in the saying “an ounce of prevention is worth a pound of cure.” Those preventive steps include: paying attention to the watering habits, remembering the mowing height and frequency,fertilizing effectively, loosening soil by aerating once or twice per year, applying the pesticides cautiously or trying to use organic treatments such as neem oil, compost tea, etc.,. The better you take care for your lawn, the stronger the grass will be able to fight against lawn diseases.